We switched back to real butter in our house, for a variety of reasons I won't bore you with. The end result being, now that our spread didn't come in a tub, we needed a butter dish. I'm of the belief that no detail is too small in our atomic ranch, so I went on a search for the right mid-century modern butter dish. I put a spending limit of $10 on myself, because, it's a butter dish, not something that I'm going to proudly display on my mantel. That's when I found out that butter dishes fall into three categories: white, clear and expensive. I was going to just get a standard white butter dish and forget all the silliness but then West Elm put their owl butter dish on sale. So I got the yellow one. I think it'll make a nice addition to the kitchen and fit the mid-century modern look we're going for. 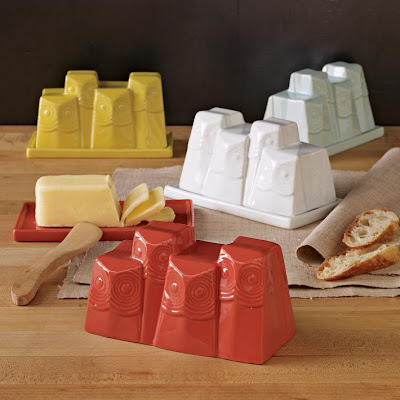 I think any of these butter dishes could fit nicely into a mid-century modern kitchen. I recently bought a butter dish by Zak! designs made of recycled plastic. It has a retro feel and reminded me of those plastic mixing bowls the ladies used to make their ambrosia salad in. 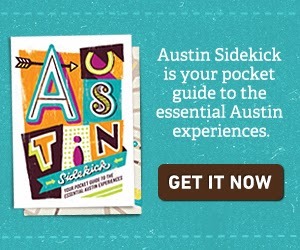 :) Here it is on Amazon, though I only paid $9 for mine. It looks cooler in person. I do like that dish, and I love the recycled aspect of it. That'd be perfect for anyone with a recycled glass countertop. 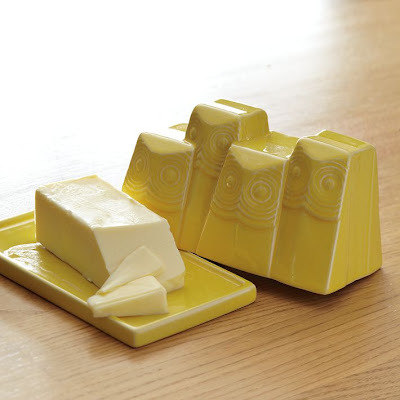 Now that's one cute butter dish! I think I'm going to be butter dishless for a while longer, because the ones that go with my Russel Wright Iroquois Casual are selling in the $200-300 range, landing them squarely in the expensive category. To be perfectly honest, I may never have one of those...because, like you said, it's a butter dish. $300? Really? Wow, I didn't even think butter dishes got to that level. When I said "expensive," I was thinking $50 or so. Although, looking at photos, those are nice butter dishes. But (at least for me), not 300 dollars nice. Love the owl butter dish! I've never seen one like it. I recently made the switch to butter dish as well and went on a very similar quest. I initially wanted to find a fire king jadeite dish with the clear top but the prices on those are outrageous and I couldn't imagine using it with the potential of it getting broken. So, I settled on a pyrex butterprint butter dish - seemed appropriate. It's cute, functional and very budget friendly. Oooo, those Fire King Jadite butter dishes are pretty. But, like you said, I need a dish to be inexpensive enough that I don't feel bad if I drop it and/or break it while passing the butter. You are right about the Le Creuset butter dish in cherry! It is in our MCM kitchen right now! We have had it for about 4 years and love it. We found it at our local Marshalls for about $10. Boy, I wish our Marshalls had things like that. All they ever seem to have is ugly art and pants that are too small or too big for me. That's a great find. Glad I could help and glad it was still on sale.